This is 1st set released (out of 4 different styles I'm working on) of free Iray Eye Style Materials for DAZ Studio's Cookie! & Chip! The set includes 6 different eye colors as well as a mask to add emission. You're free to use this for commercial & personal use. Please don't sell or redistribute it on it’s own. 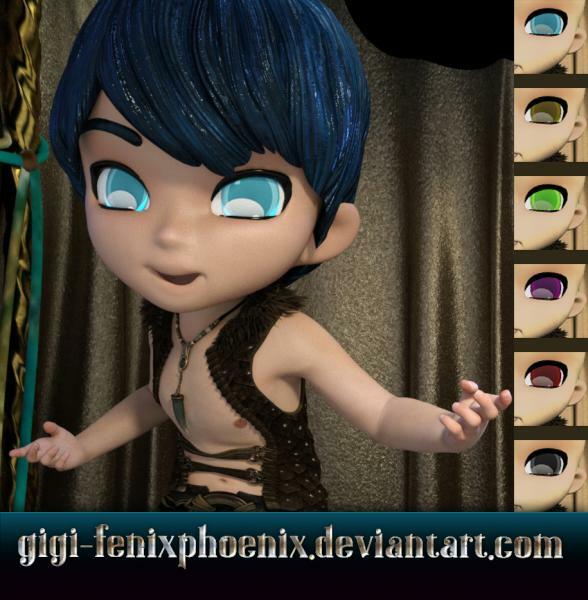 Unzip this archive to your My DAZ3D Library. Will do! I switched computers so I grabbed this again to install and try. Gisellegg (1 year ago) Inappropriate? Llynara, let me know if it works. I have a feeling that I didn't package it correctly. Thanks! Nice to have some Iray options for Chip and Cookie!